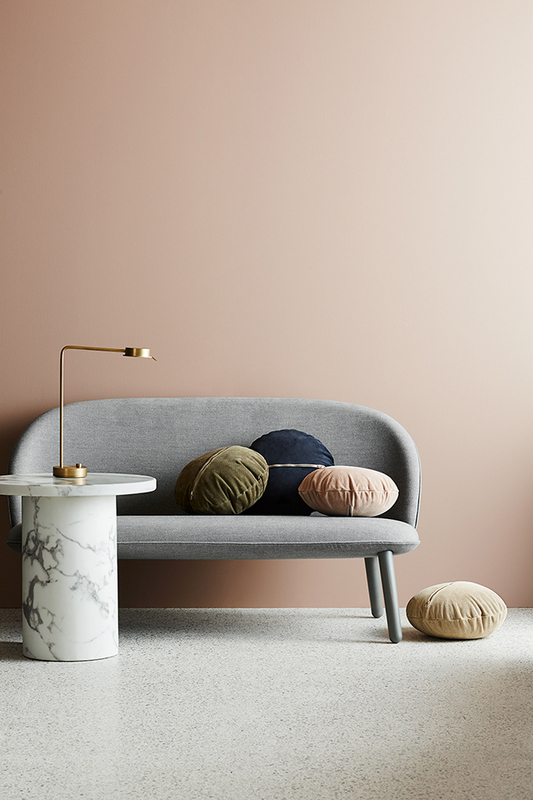 Melbourne design studio Sly have today launched Tangence, their latest collection of homewares for Autumn/Winter 2018. 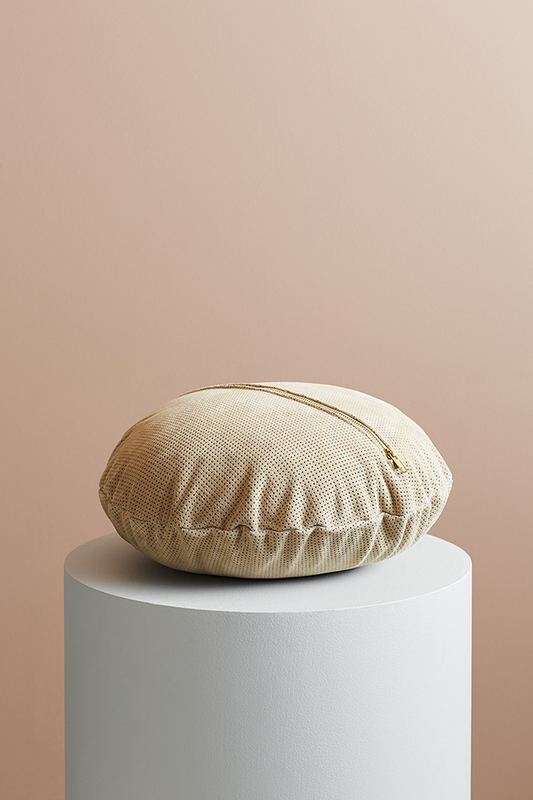 A collection formed around a sense of tactility, shape and tone, where simplicity and minimalism are at the forefront, here's a look at what's on offer. 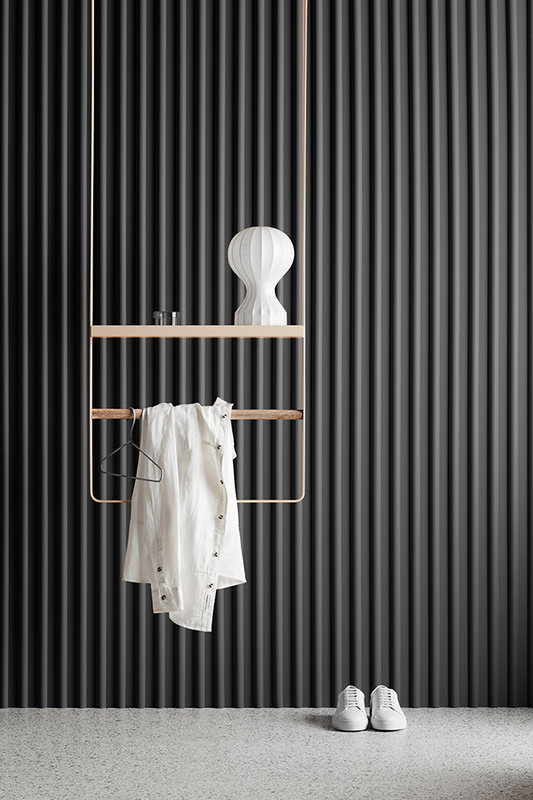 The Axton Suspended Rail is a multifunctional steel rail. 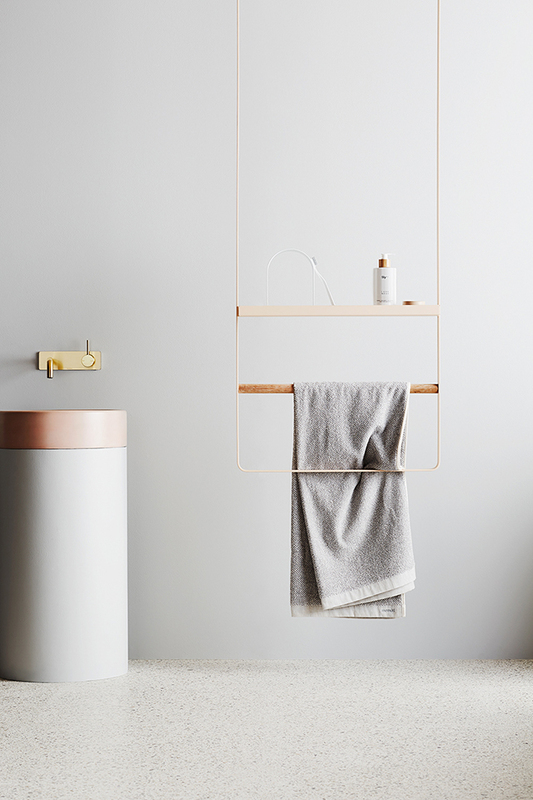 Powder-coated in a soft matte clay hue with a Tasmanian oak rung, I love its airy silhouette and simple, minimalist form. 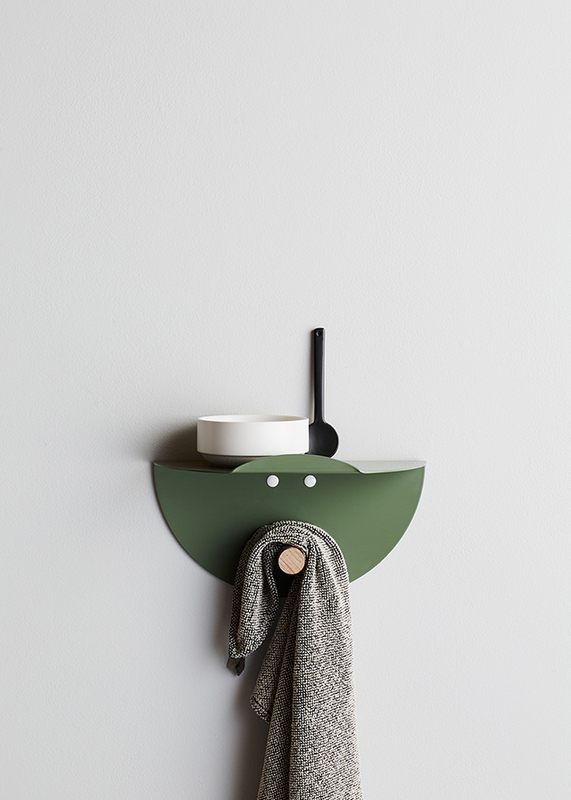 Perfect for the bathroom, bedroom or hallway. 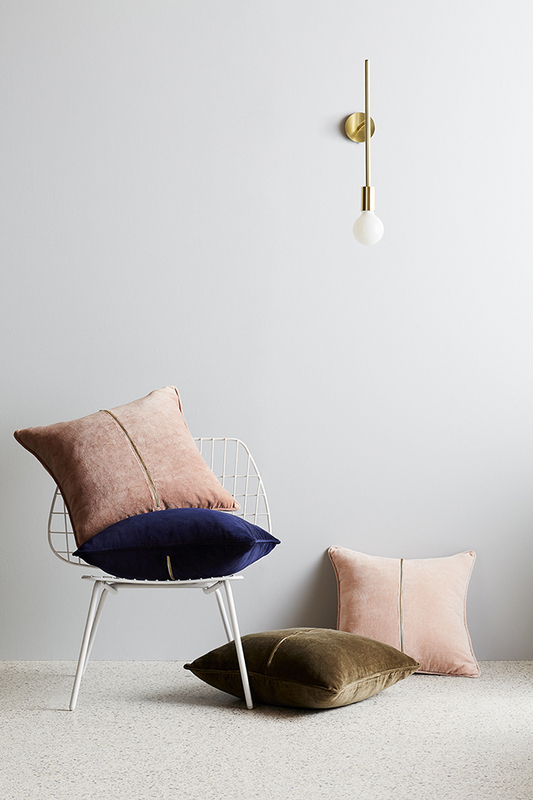 Since launching with a textiles range in 2013, Sly have continuously captured our hearts with their beautiful cushions. The latest release is the Knox, stitched in Australia with the finest perforated Italian Suede and brass hardware. 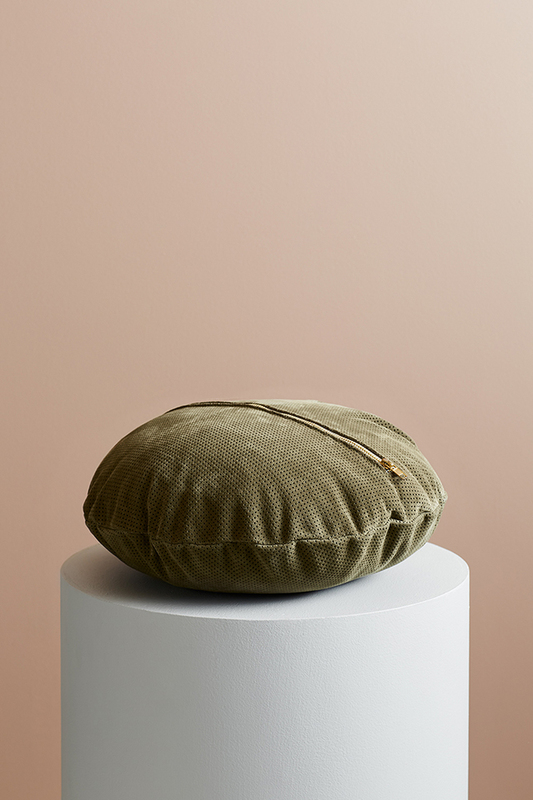 Available in a gorgeous colour palette of Buff, Clay, Navy and Olive, these provide plenty of options for stylish layering on the sofa or bed. 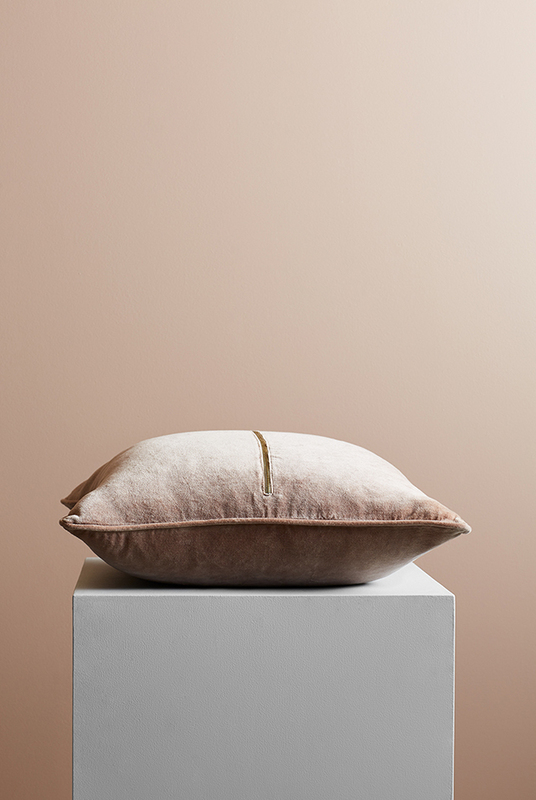 This season sees the return of the Sly Elwyn II Velvet cushions in new Autumnal hues of Olive, Cobalt, Clay and Blush. 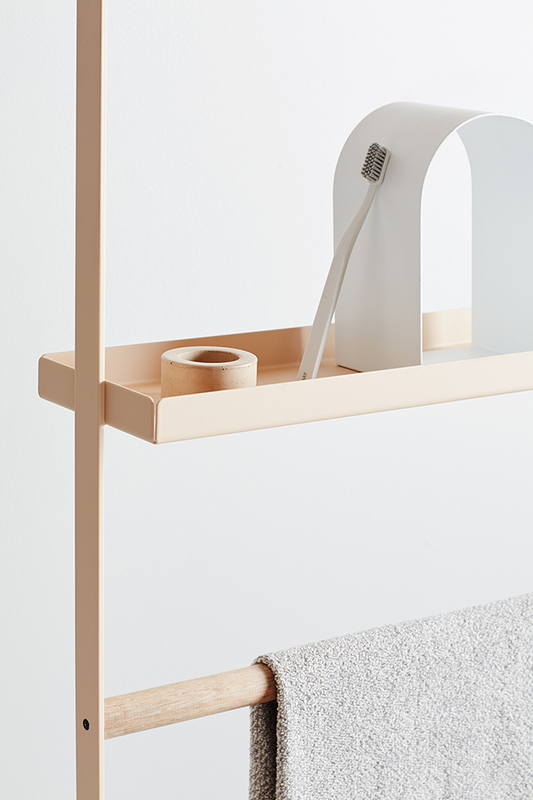 Tangence sees the introduction of the Tuck Floating Shelf, a versatile floating shelf folded from powder-coated steel, with a Tasmanian oak peg. 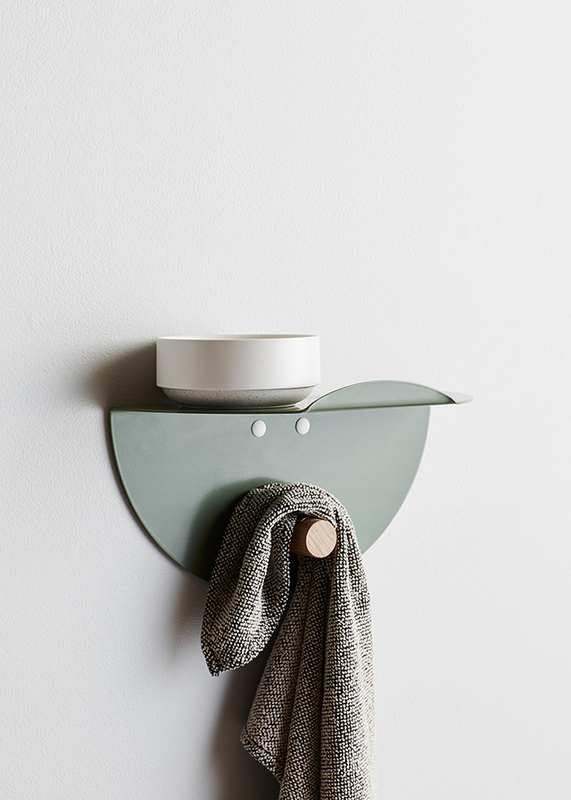 Available in White and Moss, this clever and compact design lends itself to many places around the home such as the bedside, home office, kitchen or bathroom. 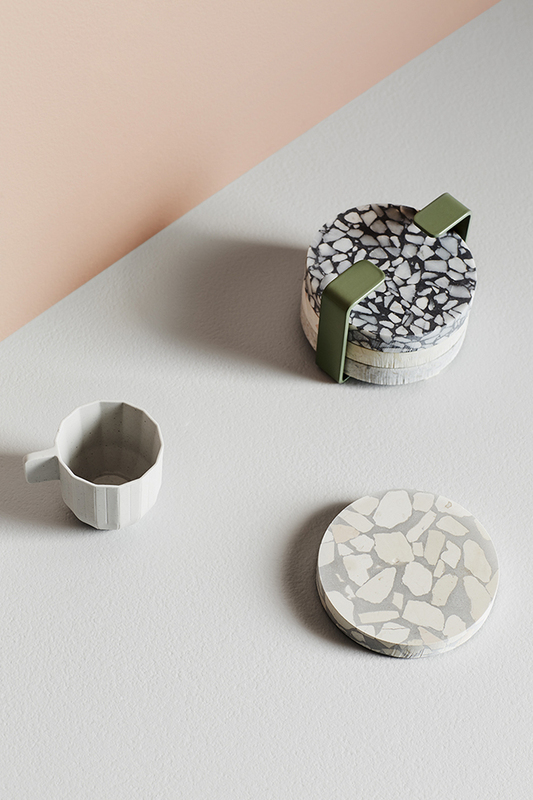 Following on from their successful range of Terrazzo Trivets, Sly has for this season released a charming round design, the Omni. Comprising a set of four assorted Fibonacci Terrazzo Trivets, these have been created exclusively for Sly. 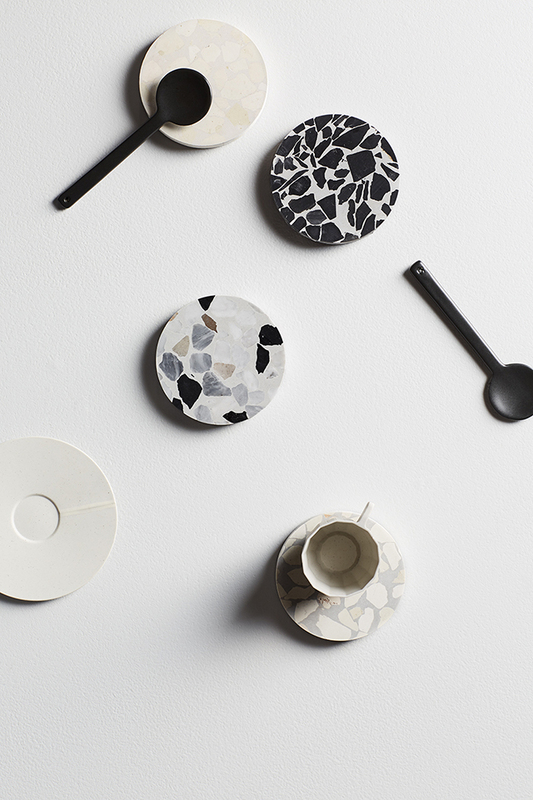 Housed in a Moss steel cuff, each trivet has a unique colour, pattern and chip size. Love!